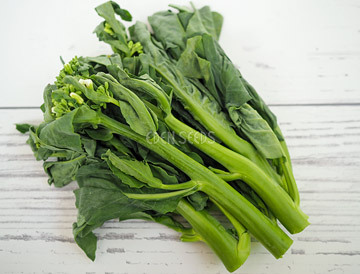 The chinese broccoli for use of thick long stems and crinkled dark green leaves. Quick growing, harvest just as flower heads begin to form. Excellent flavour, likes rich moist soil. 60-70 days.